The Homeland Security “FY2018 Budget in Brief” has been published. You can see it in pdf form here. The Coast Guard portion is on pages 44-48. The breakdown of the elements of the Coast Guard budget request are on page 47. The total DHS budget request is $70,692,491,000. Of that, the Coast Guard portion is 15.1%. The DHS request is 7.1% greater than the FY2017 annualized continuing resolution. By comparison, the Coast Guard request is down 2.4%. Workforce Support Improvements ………………………………….$9.1M, 34 FTE Provides funding and personnel to manage the new Blended Retirement System, increase the frequency of Personnel Security suitability background investigations, and enhance capabilities to handle sexual assault allegations. This is neither the disastrous cuts that were talked about earlier, nor is it a substantial boost. While less than the FY2017 budget as ultimately funded, it compares favorably to the initial FY2017 request. If the Congress does what it has done in the past, and adds some to the AC&I budget, we may feel this is a better than workable budget. Compared to the enacted FY2017 budget, Operating Expenses are up $333,772,000 while AC&I is down $720,382,000. 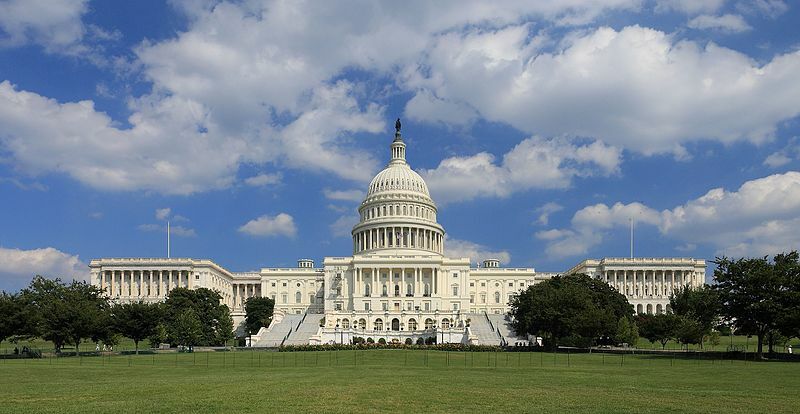 Hopefully the Congress will bump this up to nearer what we need annually, about $2B. 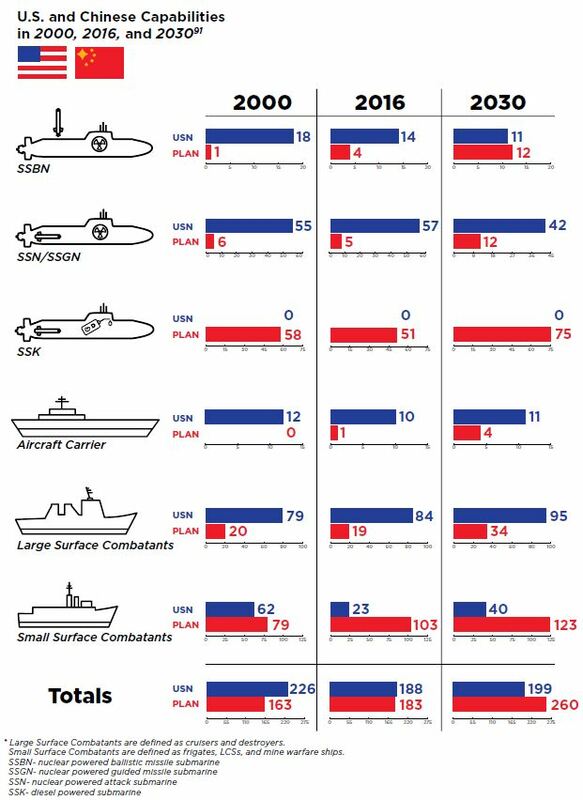 I would be very surprised if the Congress does not increase the Fast Response Cutter buy from four to six, and NSC#10 and another C-130J are possibilities. 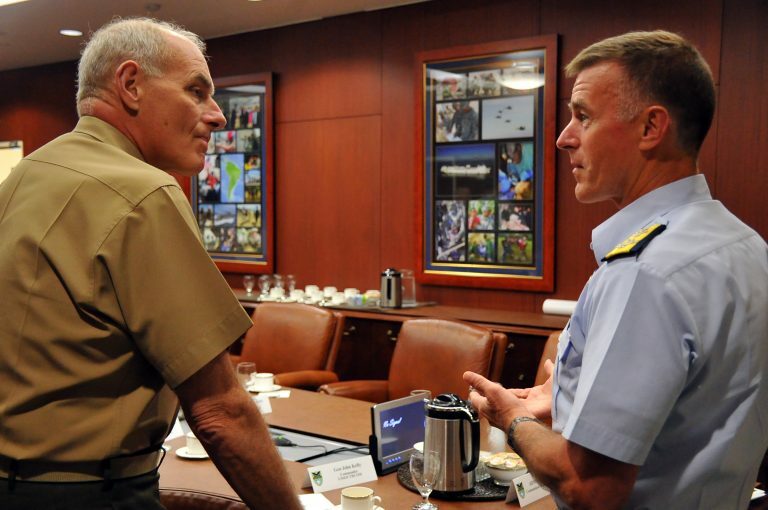 Coast Guard Commandant Adm. Paul Zukunft (right) meets with then-Southern Command chief Gen. John Kelly, now Trump’s nominee for Secretary of Homeland Security. Reuters is reporting that John Kelly has received Senate confirmation as Secretary of the Department of Homeland Security by a vote of 88 to 11..